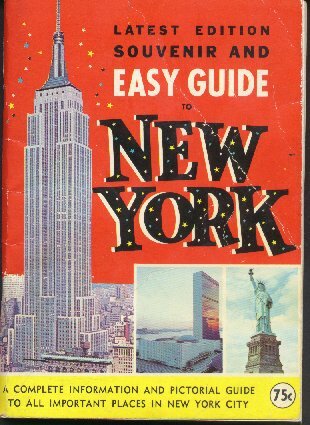 (242)Guide Book New York City Guide Book - 1964 - Condition: Very Good Pages and cover intact. 100 page Souvenir Guide. Cover has Colored Photos and Illustrations. Inside has B&W photos of Many places in NYC, center fold has colored Photos. Really fascinating details of New York over 50 years ago. Front Cover has crease. Price: $6.00 + shipping.